Steve Hemmelgarn retired from The Parkersburg News and Sentinel on Friday after 46 years at the newspaper. Hemmelgarn graduated from Ohio State University and was a manager of the football team under Coach Woody Hayes. 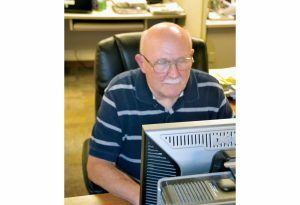 PARKERSBURG, W.Va. — One of the most recognizable sportswriters in the Mid-Ohio Valley retired Friday from The Parkersburg News and Sentinel.